1. Place articles on your institutional webpage or repository. 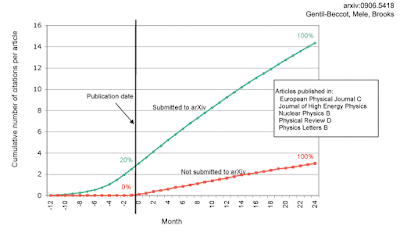 Many researchers might not realise this, but sharing either a pre-print (pre-peer review) or post-print (post-peer review, pre-proofing stage) version of their articles is fully compliant with most publishing policies, and an easy and free way to make a copy of your work freely available. You can use the Sherpa/Romeo tool to check individual journal policies, and then upload a version of your work to either your institutional webpage or repository. If you’re unsure of how to do this, speaking to a librarian usually helps! Make sure that you upload the ‘right’ version of your work and comply with any potential embargo policies to avoid any complications with publishers. 2. Place articles in an appropriate subject repository. As well as institutional repositories covering a wide range of fields, many subject-specific ones also exist. Alongside the arXiv (Physics, Maths, Computer Science), there has been a recent explosion in the number of subject-specific pre-print servers, such as BiorXiv (Biosciences), SocArXiv (Social Sciences), and engrXiv (Engineering). As above, sharing your work on one of these platforms is simple and free, and a great way to increase access to your research papers. 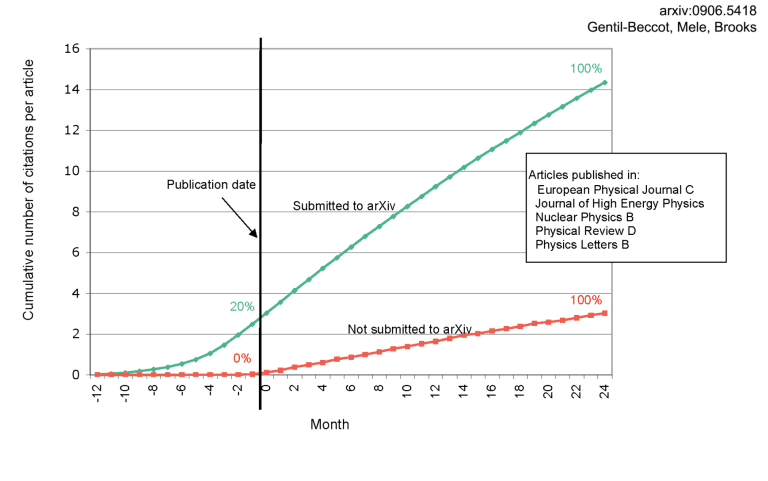 There is a lot of evidence showing that by posting pre-prints, your research accumulates more citations, and sooner and faster than rates associated with traditional publishing. 3. Inform interested users on Twitter. Choose appropriate #hashtags to increase the discoverability of your work. 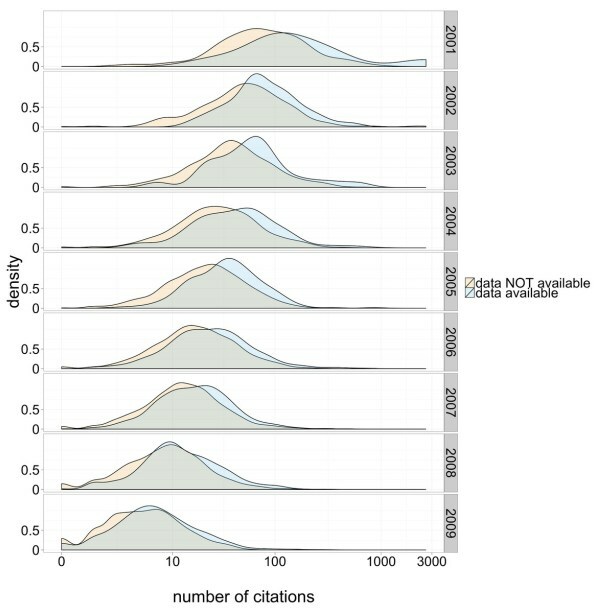 There is some evidence that posting your research articles on Twitter is a way of generating increased citations for your work. While social media not be every researcher’s cup of tea, it is certainly a handy way of promoting your work, increasing it’s reach and impact, and improving your article Altmetric scores. A useful introduction to social media for scientists can be found here. Using Twitter in particular is relatively simple, not very time consuming, and a great way to start or join conversations relevant to your research. 4. Post links to articles on Facebook, and any relevant groups, as well academic networking sites, including your LinkedIn and Google+ profiles. As with Twitter, all of these platforms provide ways to increase the readership of your work, which is ultimately what we all want. Posting it on numerous platforms is a positive way of maximising the potential reach and audience for your work. That means more recognition, more readership, and hopefully more citations too. 5. Save it to your reference library and promote in the academic network of reference manager sites such as CiteuLike or Zotero. This will make it easier for others to discover your articles, and for you to share your work with your peers. It also makes citing your work a little easier for others. Some of these platforms allow you to upload PDFs of articles too, so make sure that if you do that you’re uploading versions that are compliant with publisher policies. Of course, this doesn’t matter if you’ve published your work Open Access via the gold route in the first place, which allows unrestricted access, sharing, and re-use of your work. 6. Share your research data and code and increase your citations. General research repositories, such as Figshare, Zenodo, GitHub and DataDryad handle a huge variety of data types and might be appropriate for online storage of primary data and other ‘supplements’ to the primary research articles. Many of these come with their own DOIs now too, making them more easily citable, and increases the re-usability, integration, and reliability of your research. Research has shown that by sharing your data openly you also give your work an important citation advantage by making it more user-friendly and useful to others. 7. Inform society news outlets and bloggers in your field. You can also choose to blog about your own research. Blogging can be a useful tool to explain or expand upon your research for non-specialist audiences, and to provide additional information and background that perhaps didn’t make it into the final version of a paper. If you don’t maintain a personal blog, reach out to bloggers or blog networks in your related fields and ask if they would like to cover your research. If you think your research is worthy, also consider issuing a press release. Many universities and journals have dedicated teams to help with this, and is worth pursuing if you think your research will be attractive to a wider audience. 8. Create a Google Scholar profile and track your citations. In addition to useful functions like saved searches and setting new content alerts, creating a Google Scholar profile helps you to track citations to your publications for free, and increases your visibility in searches. Google Scholar updates your profile regularly with new citations and as you publish new articles, and provides additional metrics such as your h-index. 9. Add articles to your ORCID account. There are other choices too, including other academic networking or sharing platforms such as ResearchGate, Mendeley, Academia.edu, CiteULike, or Loop. The benefit of using ORCID is that it is becoming widely adopted as part of an essential toolkit for researchers, and often a requirement for authors for publication. Researchers should however be careful with some platforms which host a substantial volume of content that infringes upon publisher copyright, and make sure they are uploading only content that they are legally able to do so. By having just one highly-integrated and detailed profile like ORCID, you can avoid ‘account fatigue’ from manually maintaining all the different platforms out there. 10. And, if you feel inclined to do so, update your ScienceOpen profile through ORCID, and track your article- and author-level metrics for all your research articles. By integrating your ORCID details with us, including your publication record, we can track article-level metrics for your research, put it into context of 28 million research articles on our platform, and also enable you to perform additional functions on ScienceOpen such as post-publication peer review and building research collections for your communities. This list is by no means exhaustive, and if you have additional advice, please do let us know in the comments!